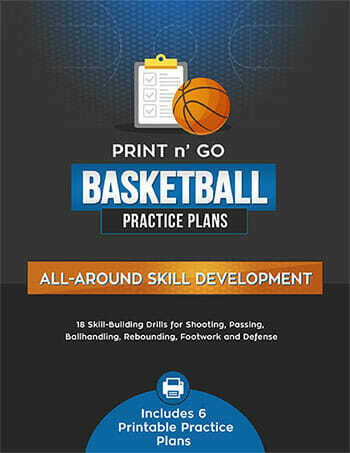 Coming up with new ideas for [tag]coaching basketball conditioning drills[/tag] can be a challenge. 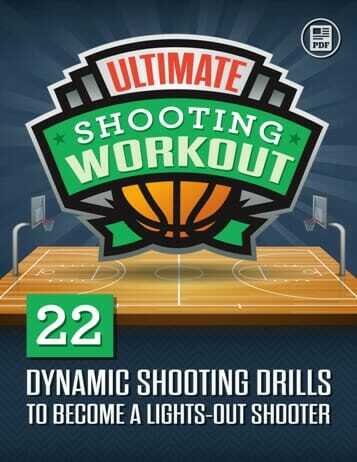 The following is a combination of a continuous team rebounding and fitness drill. 1.The [tag]basketball drill[/tag] starts with one player facing backboard with ball. The rest of the team are in a line behind the first player. Coach is about a meter behind the last player in the line. 2.First player throws the [tag]basketball[/tag] off the backboard and second player steps in, jumps off both feet, and with either one hand or two hands (depending upon skill level), rebounds the ball and bounces the ball back off the backboard while in the air. This continues with the rest of the players in the line stepping forward and rebounding and pushing the ball off the backboard. 3.After each player rebounds and passes to the backboard, they then run past the line and around the [tag]basketball coach[/tag] who is standing about a meter from the back of the line and rejoin the end of the line. 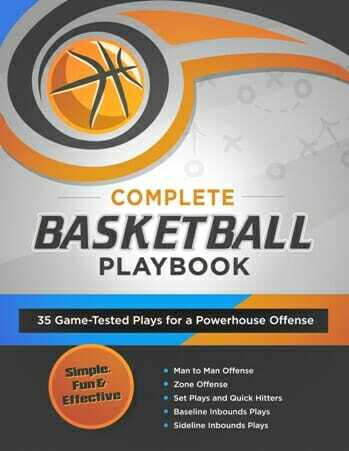 4.Once each player in the line has rebounded once, the coach then takes one big step back and the drill repeats with the coach stepping back one step after each time the players have gone around. A fully fit and committed team can do this drill with the coach eventually standing at nearly the opposite baseline (but not for very long!) It can continue with the coach now making a step back towards the basket with each rotation shortening the distance the players have to run.